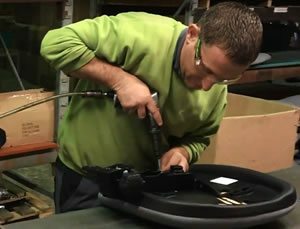 The Lombare offers a healthy seating posture, with its easy to use adjustments and generous kidney seat and back supports. Providing the highest level of comfort and support available in a task chair. The Lombare offers a healthy seating posture, with its easy to use adjustments and generous kidney seat and back supports. 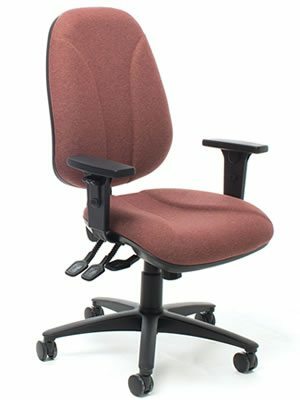 Providing the highest level of comfort and support available in a task chair. The Lombare range can be customised to your requirements from base colour and arms to adding an embroidered logo. One standard variation is shown below with some optional extras. Please contact us to discuss any specific requirements. Simply click on the images below to take a closer look at the Lombare chairs. 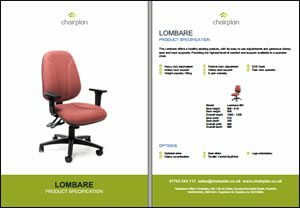 Click to download a PDF of the Lombare chairs.